1) Keep only what you need and love. You can live in denial for a while, but it’s a universally acknowledged truth: unless you want to end up on a reality show about hoarding, you will need to get rid of some of your stuff when you downsize your space. Approach it like a zen exercise: the more clutter you get rid of, the more peaceful your space. Leo Babauta has a number of great tips for clutter-bugs here. If it gets a little overwhelming, keep in mind that you don’t use most of the stuff you own. If all else fails, think about what you could buy if you got rid of a lot of your excess stuff and sold it online. 2) Create separate “living areas” but keep them small. Break it down to basics: you will need some place to eat, some place to cook, come place to relax, and some place to sleep, and some place to shower and prepare for the day. A very small dining area can be right next to a sitting area and you can combine your sleeping area with a sitting area if you buy comfort sleepers or sofa beds. 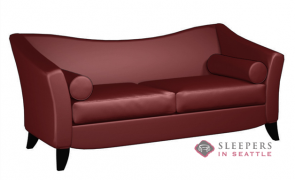 You can find some good design ideas for comfort sleepers here, at Sleepers in Seattle. 3) Take inspiration from other city dwellers. Lots of people who are downsizing focus on all that they are getting rid of, and imagine that small spaces mean deprivation. Not so. 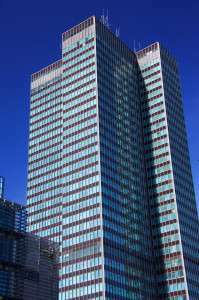 Many people in Tokyo, New York City, and other urban centers have to get creative and manage to do so with style to spare. Check out some inspiration here. 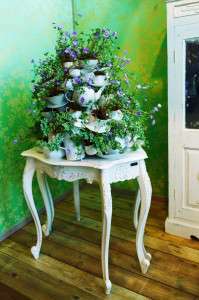 4) Look for apartment-sized pieces. If you are moving from a house or a larger apartment into a smaller rental, it can be a good idea to get rid of your larger pieces and invest in a smaller number of pieces that are streamlined for smaller spaces. 5) Look for furniture that works for the space. If you have a house the size of a barn, fitting in a huge hall table or an extra canopy bed is no problem. Not so in a tiny apartment. If a piece of furniture is going into your apartment, it better earn its keep. A dining table with storage underneath or a roll-away kitchen trolley that can serve as extra counter space are good ideas. 6) Look for spaces on walls, ceilings, and other spots that the more space-affluent may miss. You can put hanging shelves on your walls, or hang a garden. The space behind doors can be transformed into storage space with over-the-door hooks. Get creative and you’ll find some extra space for your stuff. Hint: make use of spaces under furniture and on top of furniture, too, by investing in fabric-covered boxes. Think of moving into a small space as a way to test your decorating mojo. With a little extra work, small spaces can look charming and stylish. But make no mistake: it will take a little extra planning. This entry was posted in How to and tagged small space living, studio apartment, useful tips on March 29, 2013 by A. Antonow. 1) Set up a cookout area that works year-round. If you love to barbeque, you don’t have to save it just for the summer months. 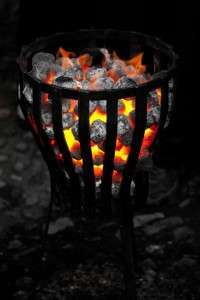 Setting up a fire pit or a barbecue area allows you to cook outside on milder winter days. You will need to ensure that you store fuel properly and that you keep any barbecue covered so it won’t rust. Having fresh-from-the-grill meals in the dead of winter can make the little bit of effort worth it, though. 2) Use heated walkways and driveways to keep your property safe and functional year-round. One reason why many homeowners essentially forget about their garden during the winter months is because snow removal is such a pain. You may shovel out your driveway to get the car out, but that may be it. Not only is that a terrible waste, but it is also potentially dangerous. Not removing snow and ice from all walking areas around your home can mean a nasty slip and fall accident – or an expensive lawsuit. 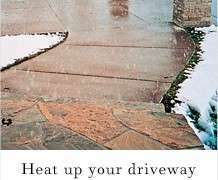 Heated walkways and driveways are a simple solution. Underground heating ensures that every trace of snow and ice melts from your walkways and driveways, so you can easily get around your garden all winter long. 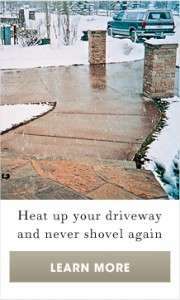 Heated driveways and walkways also save you a lot of time, since they melt snow and ice automatically. 3) Invest in accessories that are attractive year-round. Heated birth baths, bird feeders, stone statues, and interesting fences or other garden accessories can look great, even in the winter, and can make your garden more appealing. 4) When buying plants for your garden, consider how they will look during every season. Buy some trees or shrubs that turn bright colors in the autumn and look for evergreens that will add a touch of color and some shape during the dead of winter. 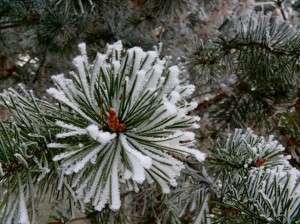 There are plenty of websites that can give you some inspiration for a winter garden. Getting outdoors during the winter is important. It gives you a dose of Vitamin D and some much-needed fresh air. If you have a garden, you may as well enjoy it year-round. Even if you don’t live in a mild climate, you can get the most from your space with a little creative thinking. This entry was posted in How to, Outdoor and tagged how to, outdoors, useful tips on February 19, 2013 by A. Antonow. 1) Look for streamlined furniture and accent pieces. 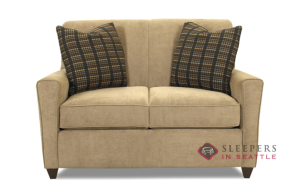 Rather than overstuffed and oversize pieces, look for items that are smaller and built slim. Comfort sleepers, for example, are often created to be apartment-sized, with thinner arms and a slimmer look. While they offer all the comfort of a full-size bed and sofa, they won’t overwhelm a smaller space. 2) Opt for furniture pieces that do double duty and fold away. Tables that fold away and storage boxes that double as coffee tables or seating is a good start. Comfort sleepers are also a great option for very small spaces and studio apartments, where a separate bed and sofa can take up too much room. 3) If you live in a condo and can change your heating system, switch to floor heating. You’ll be able to get rid of any space heaters, radiators, and vents that are taking up room. You’ll also have the freedom to move your furniture where you want to, since floor heat systems deliver a low, cozy dose of heat and do not ruin your furniture the way that space heaters, radiators, and baseboard heaters can. With heated floors, you’ll be able to make use of more space in your home. 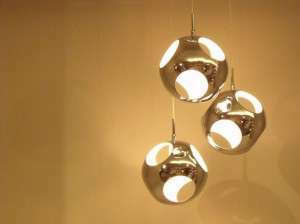 4) Make use of light colors and reflective surfaces. Light colors can make a room look larger and reflective surfaces (and large mirrors) can create the illusion of a larger space. If you love the look of dark colors, save them for contrast pieces rather than making them the focus of your room. 5) Think up. You’re probably not making use of the space near your ceiling. Tall, thin bookcases that go right up to the ceiling are a better use of space than smaller, wider shelves. Try hanging pictures or mirrors higher up and look for taller, thinner furniture – such as tall boy dressers rather than traditional dressers. You’ll save space. 6) Make good use of light. Small spaces can easily look dark, which can make them look even smaller. Install good overhead lighting, accent lights, and use lamps to create a brighter look that opens your space up. 7) Use hooks. Hooks installed over doors, in closets, and on the backs of doors can be used to store and organize just about anything. Clutter has no space in a small home, and hooks can help you take care of that. 8) Seek out unused spaces in your home. Those spaces can give you more room for your stuff. For example, the space above your stairs or above a desk can often accommodate hanging shelves. The small hallway just inside your door can be a great place for a storage closet or a small table. Tiny spaces do require a little creativity but they can be a great way to enjoy more with less. A few tweaks and a little thinking ahead are often all it takes to make a small space feel much larger. This entry was posted in Decor & Style, How to and tagged small space living, studio apartment, useful tips on February 13, 2013 by A. Antonow. One of any homeowners more annoying chores during the winter is finding a good way to get rid of the ice that forms on their walkway. A number of solutions are available, but you need to do a little research and find the answer that will work best for you. Here are a variety of alternatives that can eliminate one of winter’s peskiest problems. Rock salt, or sodium chloride, is a traditional means of de-icing sidewalks and walkways and performs well in temperatures down to 20°F, but it has several disadvantages. Numerous studies have shown that rock salt is harmful to the environment and corrodes concrete. It also causes damage to any plants to which it comes into contact and can irritate your pet’s skin. 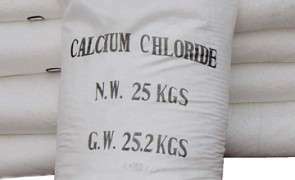 Calcium Chloride– This product melts ice faster than rock salt and works in temperatures as low as -25° F. It is less harmful to concrete than other de-icers, but can also cause some damage to plants if too much of the substance is used. Potassium Chloride – Another common chemical de-icer, potassium chloride, is effective down to temperatures of 12° F. Although it works more slowly than Calcium Chloride, it has the advantage of being less harmful to nearby vegetation. Calcium Magnesium Acetate — This substance was developed as an alternative to road salt in the 1970s. It is safer for concrete and the environment than road salt, but does not perform well at temperatures below 20°F. Natural De-icers — Products containing natural materials that have been treated to specifically avoid harming your pet and the environment are available in many hardware stores and pet stores. Brand names include Sure Paws and Safe Paw Ice Melter. These types of products may be more expensive than some of the other options. Sand —Although placing sand on an icy walk can give you steady footing, it has some environmental disadvantages similar to rock salt. It can get into storm drains and cause them to become clogged and enter nearby waterways and harm any water life in the stream or creek. Sand also gets tracked into your home and can damage wood floors and carpets. Wood Chips & Straw— These organic materials are probably better choices than sand, as they both help you gain solid footing and avoid falling and are also environmentally friendly. Cat Litter — This household product works well to gain traction, but make sure you purchase the bio-degradable type. Two prominent brands are Yesterdays News and Arm & Hammer Essentials Natural Clumping Litter. Perhaps the best method of making sure your sidewalk or walkway stays ice free no matter how far the temperatures fall is to install radiant heating under the walk. A typical system uses cables or tubes that are heated by either hot water or electricity. The cables keep the walk at a temperature above freezing which prevents ice from forming. Electric cables seem to be the most popular system on the market currently, as they have fewer moving parts than hot water-based or hydraulic methods. Electric radiant heating can be installed in both newly constructed and existing walkways. You may also need to upgrade the voltage of your home in some instances. You can save on labor costs by installing the cable yourself; however, experts recommend that you have a professional electrician perform the final hookup. An efficient method to remove ice and snow from your walkway is to simply shovel it off. This is the most labor intensive option, and might not be a good choice for everyone, but it works and it does help you burn some extra calories (Around 130 calories per every 15 minutes of work). Make sure you have good traction and work at a steady even pace. Avoid letting the ice get too thick before breaking it up with a shovel or pick. Of the range of choices available, the most efficient and effective seems to be radiant heating. This method allows you to simply let the system do its job, while you focus on other things. It also has the advantage of being relatively low maintenance and does not involve the type of regular labor intensive work of the other, more traditional options. Once you have the radiant heating system for your walk installed and in full operation, your ice and slippery walkway problems will be a thing of the past. 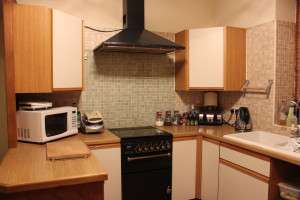 This entry was posted in How to, Outdoor and tagged how to, outdoors, useful tips on November 5, 2012 by David Sommers.